The face of the Buddha is one of the most well known and iconic images in the world even though representations of his face vary widely from one Buddhist culture to another. In common is the sense of peace and liberation that we all desire. These two photos, of Tara and Avalokiteshvara, both compassion aspects of the Buddha were taken in Zanskar, India 2016. 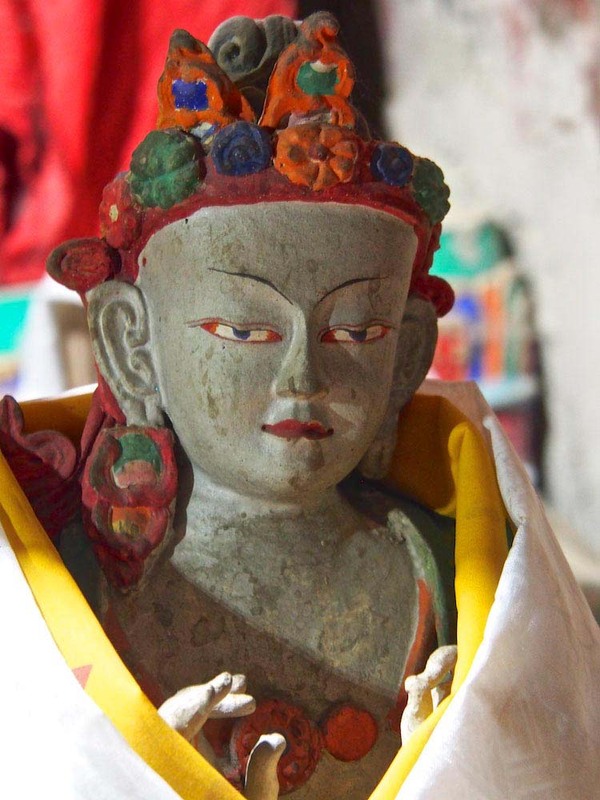 On these pages we have statues of the Buddha from India, Nepal and Tibet. They are made from copper, brass, stone and wood and each one is individual and unique. 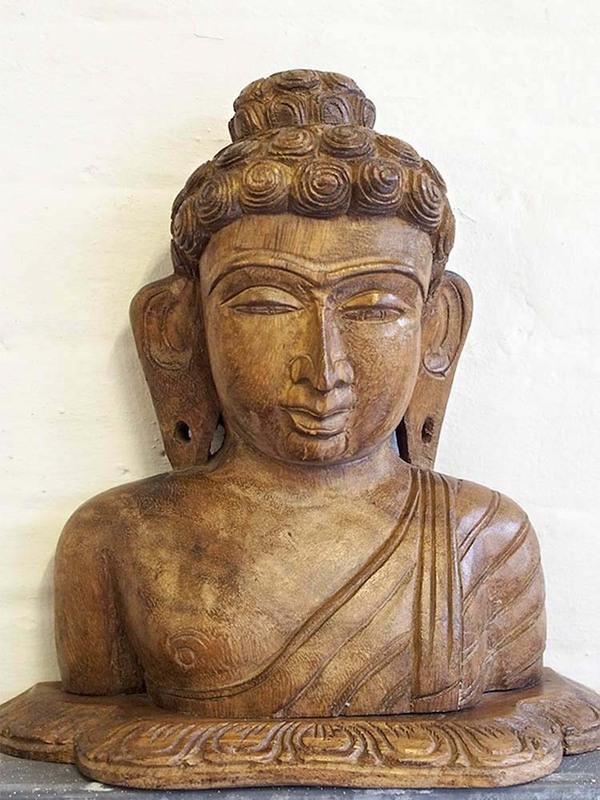 Statues of the Buddha are more correctly called ‘rupas’. Rupa is a Sanskrit word meaning form, i.e. a representation of the form of the Buddha. Some of the ‘Buddhas' on this page are Bodhisattvas, beings who have attained enlightenment but remain in this world to help all beings attain liberation, they also represent different aspects of enlightenment. 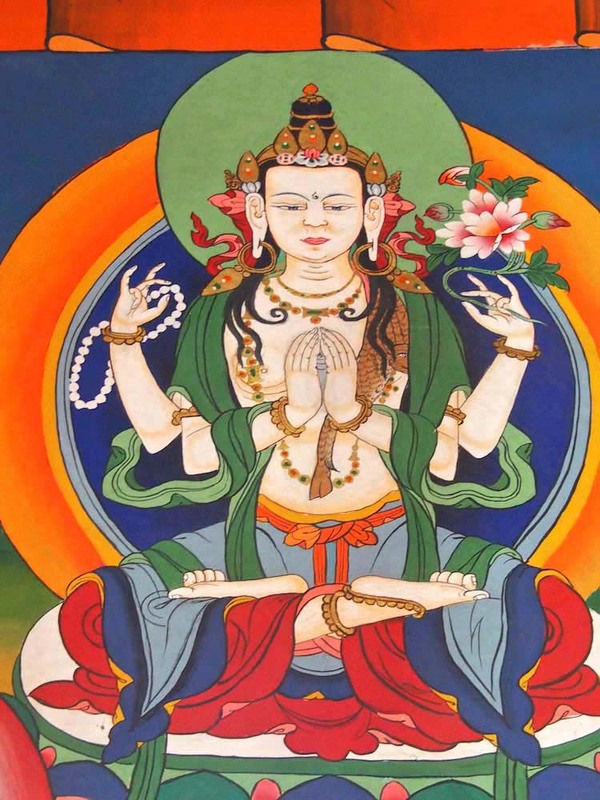 For example, Avalokiteshvara is the Bodhisattva of compassion. For simplicity we’ve called them all Buddha Statues. In recent years we’ve travelled and trekked in Nepal, Tibet, Ladakh and Zanskar where Tibetan Buddhism is the predominant culture. 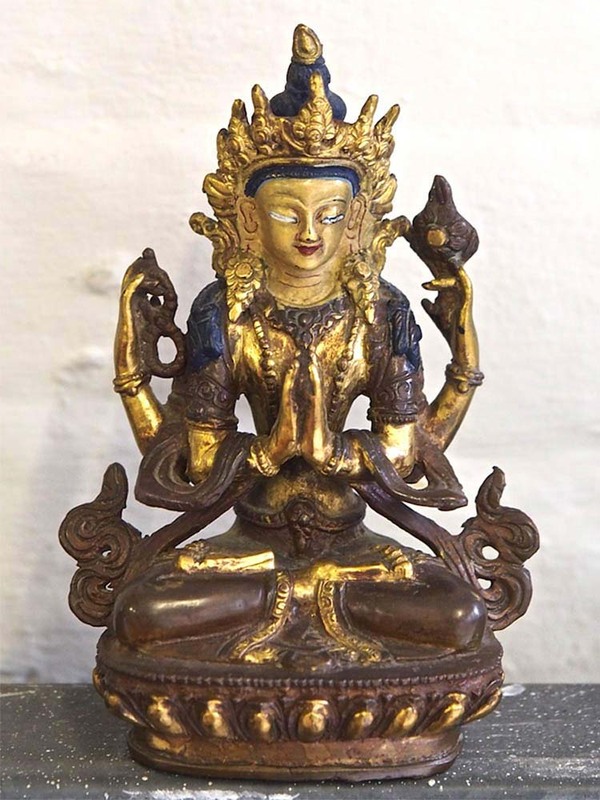 We plan to add to these pages photos of some of the many beautiful Buddha images we’ve seen. 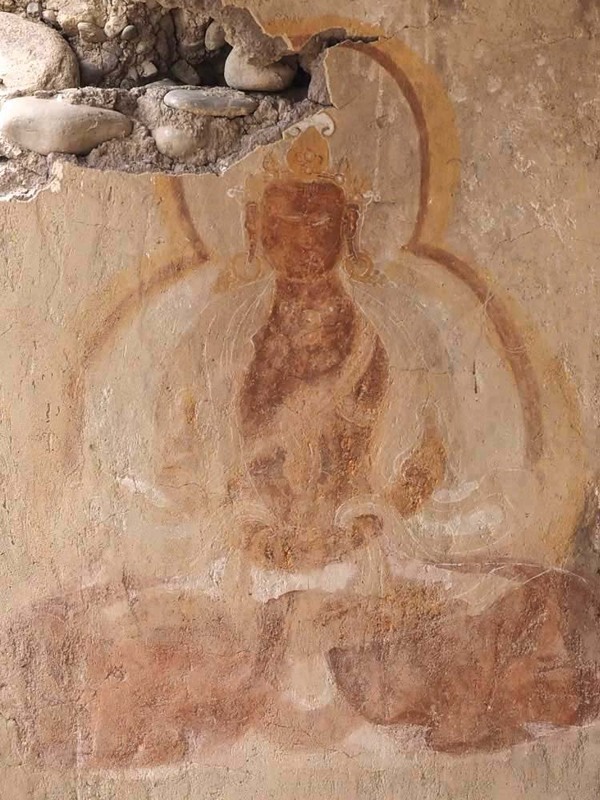 These following photos are of cave paintings in Mustang, Nepal, and Ladakh and are approximately 800 years old.